Join us and owner Kevin Kinsella for an exclusive portfolio tasting of his California red wines. This event will be held in our intimate loft space and led by both Kevin and the regional manager Rick Smock. We will learn about Kevin's entrance into the world of wine as well as his awesome production. Small bites will be provided. There are 15 seats available for this event. To RSVP, please call 561-276-2076 or click HERE to purchase tickets online. Cheers! There is also a back-story to my adventure in wine making, which began in late October 2004, when I sat for a technical rehearsal of a new musical at my home town La Jolla Playhouse. It was the best musical I had ever seen and I would become the largest individual investor in Jersey Boys, which became a worldwide smash hit. After a decade, it is the 12th longest running musical in the history of Broadway. Almost 23 million people worldwide have seen the show, now playing to audiences in five locations worldwide. Jersey Boys not only provided the resources to live my passion for wine but created a whole new level of friendships among the executive producers, the writers, the director, the choreographer, the music director, the surviving members of The Four Seasons, the actors, stagehands, publicists and, of course, all the repeat customers. There is no greater pleasure than to sit in the back of the theater at final curtain to see the enraptured faces of all the satisfied customers, who are standing to applaud the show. 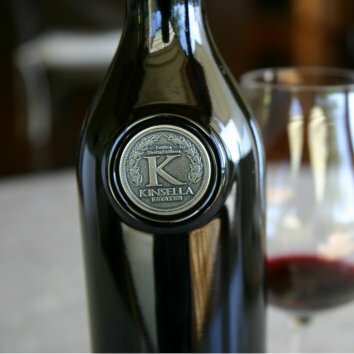 Well, actually, there is now another equal pleasure, to watch customers enjoy Kinsella Estates wine, blended together from a whole other set of friendships.As Kinsella Estates approaches the release of its fifth cabernet sauvignon vintage, the bond of friendship among our winemaker, vineyard manager, viticulturalist, ranch hand, the land, the water and the sun now extends to our customers, who by buying and enjoying our wine – my passion – have joined that circle of friendship, a relationship noted on our label as built “Su Una Stretta di Mano,” on a handshake. It’s a line from Jersey Boys and it is the way we always do business. Click HERE for more from Kinsella.